Alma – Located in a beautiful hotel in one of the city’s main plazas. The salmon I had at Alma was delicious. Sadly, I was disappointed by my white sangria. 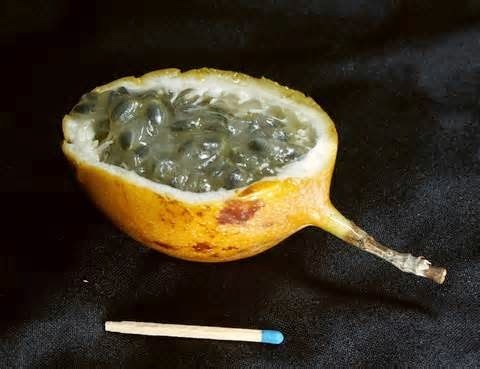 (It had guanabana fruit in it, and I’m still scarred from a guanabana experience I had in Costa Rica... basically looks like snot but with seeds like a pomegranate and a tart taste.) Get a reservation here, too. It’s nestled in a cool plaza area, so if it’s not super hot sitting poolside would probably be really nice. Carmen – our Thanksgiving meal was the Carmen 5 course tasting menu, and Chris + I had wine pairings with each course, too. It was hands-down one of the best meals I have ever had… and I couldn’t even tell you what half the stuff we ate was! Not for you if you’re an adventurous eater, but it is definitely worth the experience. La Paletería – Popsicles! All made fresh and the perfect pick-me-up from the heat and humidity. Parroquia San Pedro Claver – a beautiful 16th century church and museum dedicated to Claver that shows the history of an early abolitionist and his service in Cartagena. Castillo San Felipe de Barajas – This is a castle on the hill that was originally built by the Spanish to oversee the city and the waterways. It had some incredible views… but it was hot AF up there in the sun. Bring some water and a hat. Watch the sunset with the margaritas at Café del Mar – Our hotel concierge, Angelica (we were all obsessed with her) recommended this, but our schedule never worked out. Something to consider! Walk the Wall – great views of both the old city and the sea. We hit Cartagena at the right time – Friday and Saturday the city was overrun with tourists in town from cruise ships. Tuesday-Thursday it was very calm and open to wander around, eat, etc., so just keep in mind that there are definitely busier times of the week/year than others. Cheers to our last night!